Originally uploaded by Umaru Idi-Catteau. 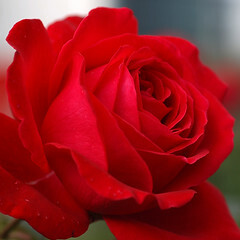 Let me present this Red Rose, to all of you who is visiting my blog today. I love to know who is visiting my blog. The only way i can know is when you write a comment. So pls drop a comment in the comment section if you visit but never commented before. Just saying hello as a comment is fine.